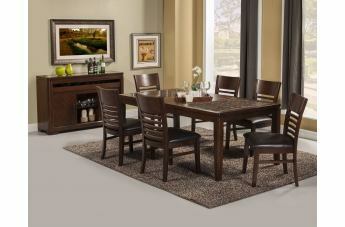 The Granada collection has an exotic look with ample space for four or more guests to dine together comfortably. 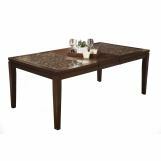 Its tables' unique top features hand-laid coconut shell in a stunning mosaic preserved beneath a sheet of tempered glass. 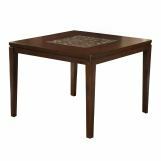 The extension table's decorative top hides a self-storing 18-inch leaf and is supported by four block legs crafted from solid Acacia with birch and ash veneer. 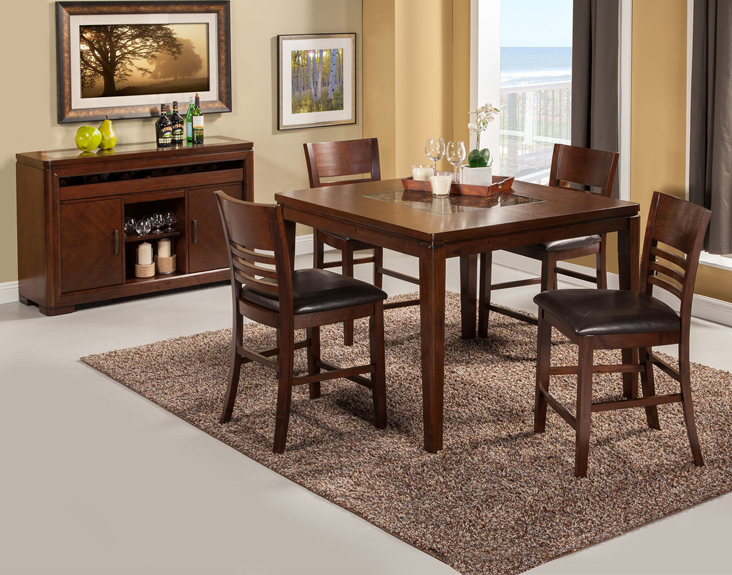 The handsome chairs adds sophisticated charm to any table. 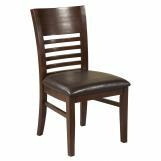 These wooden chairs are crafted from solid Acacia enhanced with veneer from birch and ash finished in warm brown merlot. 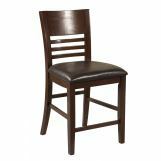 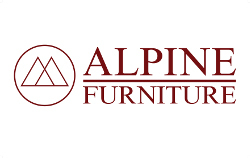 The design features straight front legs, flared back legs, sturdy ladder back, and a cushioned seat upholstered in dark brow leatherette for your comfort. 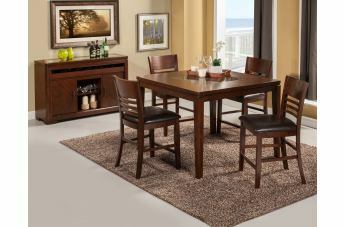 A must for any good host, the server has terrific functions perfect for entertaining. 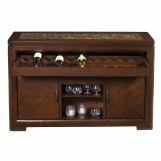 The server includes pull-out wine storage, open shelving for glasses and dishes, and two side cabinets with even more interior shelf space.